I’m not exactly dressed for golf, but no matter, it’s not the Masters and the River Club welcomes all types – even guys like me. Swish. Swing and a miss. Stifled chuckles from behind me. Tough crowd. I settle myself, re-adjust my cap, swivel my hips and take a deep breath. I’m channelling Tiger Woods as the club goes up, nice and smooth, and bring it down like a hammer… ping! I look to the tracker and nod to the peanut gallery as they too take note of the impressive trajectory of the shot. I’m finding my groove as I hammer one ball after the other out onto the green grass of the driving range. Well, maybe I’m exaggerating, but at least I am hitting it now. The River Club has always been a local favourite, but since being redeveloped a couple of years ago, its popularity has grown. There’s more on offer than the driving range experience, but I have always wanted to give it a bash. Knowing my lack of skill, the only thing stopping me was fear of looking more like Elmer Fudd than Ernie Els. 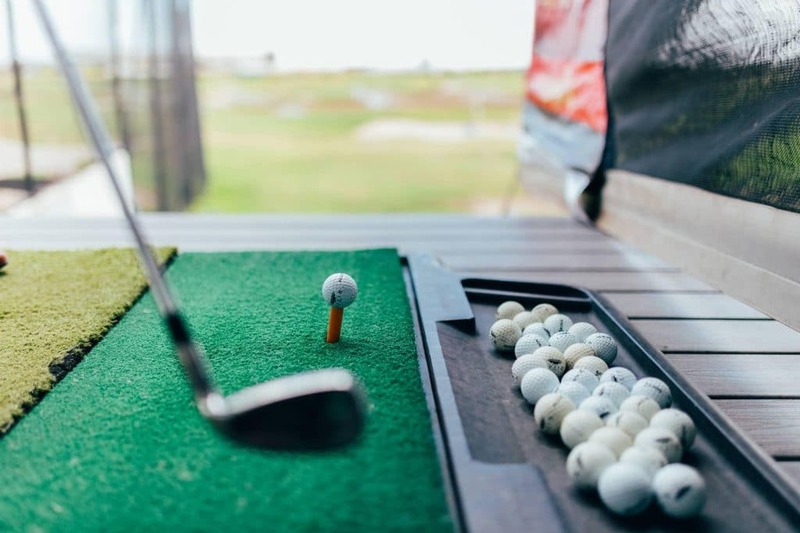 Apart from the VIP section, the River Club offers 90 practice bays, two putting greens and a chipping and pitching area with bunker for added practice. The driving bays are sheltered, meaning you can be sure balls will be flying come rain or shine. 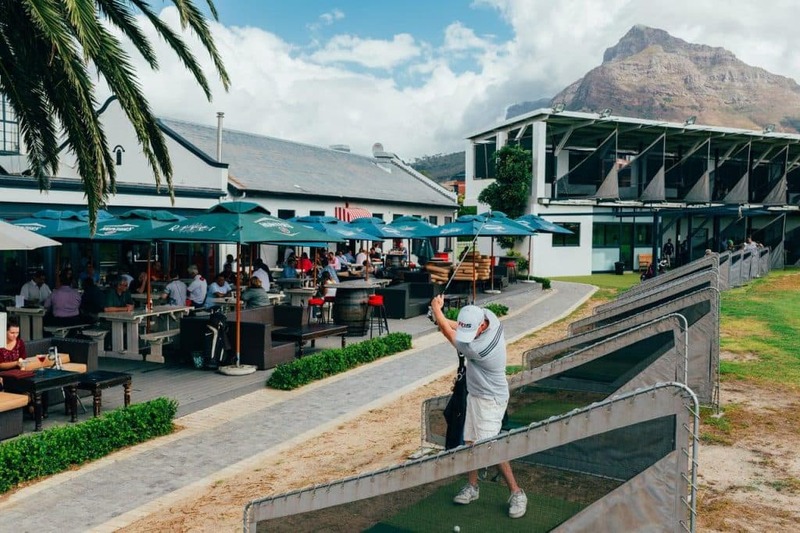 The venue also offers a popular Mashie course if you don’t have time for a full round. Once we’ve had our full of the driving range we head on down to the Slug & Lettuce restaurant downstairs and despite the fact that it’s early on a Friday afternoon, it is packed. The menu is extensive, with everything from tapas and wine to burgers and beer. The service is friendly and swift and the vibe is jovial – even before the sports is turned on or the band plugs in. Perfect for breakfast, lunch or dinner, the Slug & Lettuce is also a great place to meet for the big game with flat screens spread around the venue and plenty of beer on tap. Combine this with the golfing on offer and River Club is on a winning ticket.